USA has announced the returns of Royal Pains (June 10th), Suits (June 11th), Graceland (June 11th), and Covert Affairs (June 24th) — as well as the debuts of new series Rush (July 17th) and Satisfaction (July 17th). Universal City, California — April 23, 2014 — USA Network, the #1 network in all of cable for eight years running, will serve up its hottest summer ever with four returning series and two new dramas. Once again, the network that defined summer television with its signature dramas is rolling out all-new episodes of its critically acclaimed original series in June, with ROYAL PAINS (June 10),SUITS (June 11), GRACELAND (June 11) and COVERT AFFAIRS (June 24). July 17 will see the launch of the two newest dramas, RUSH, featuring renegade, bad-boy physician Dr. William Rush (Tom Ellis, Miranda) at 9/8c, followed by SATISFACTION at 10/9c starring Matt Passmore (‘The Glades’) and Stephanie Szostak (‘The Devil Wears Prada’). RUSH: RUSH examines the world of renegade physician Dr. William Rush (Tom Ellis, ‘Miranda’), a ‘medical fixer’ who privately caters to LA¹s elite and whose service comes with a hefty price tag. Though the hard-partying doctor claims that he doesn¹t make judgments about his less-than-squeaky-clean clients, he¹s not immune to the ugliness that he encounters. From Fox21 (“Homeland”) and writer/director Jonathan Levine (‘Warm Bodies’), along with Gina Matthews and Grant Scharbo (‘Missing,’ ‘13 Going on 30’) and Executive Producer Adam Fierro (‘The Shield’), the series is set to film in Vancouver, Canada. SATISFACTION: A provocative drama that explores modern marriage at its midpoint. Through the lens of one couple, Neil Truman (Matt Passmore, ‘The Glades’) and his wife, Grace (Stephanie Szostak, ‘The Devil Wears Prada’), this series answers the question, ‘What do you do when having it all is not enough?’ by delving into their shocking and unconventional choices. Michelle DeShon (‘Hollywood Heights’), Katherine LaNasa (‘The Campaign’) and Blair Redford (‘Switched at Birth’) also star. SATISFACTION is from Universal Cable Productions (UCP) and executive producer/creator Sean Jablonski (SUITS, ‘Nip Tuck’). Russ Krasnoff (‘Community’) of Krasnoff/Foster also serves as executive producer. The series is set to film in Atlanta, Georgia. ROYAL PAINS: Season six promises to bring more fun and sun and a host of celebrity guest stars to the Hamptons. This season, Hank (Mark Feuerstein, ‘Good Morning, Miami’), will return from his world travels with Boris (Campbell Scott, ‘The Amazing Spider-Man 2’) to find that his HankMed family has moved on without him during his 9-month absence. No longer in the comfortable dynamics he left behind, Hank forges ahead to figure out how he fits into this new normal. The series also stars Paulo Costanzo (‘40 Days and 40 Nights’), Reshma Shetty (‘30 Rock’), Brooke D¹Orsay (‘Two and a Half Men’), and Ben Shenkman (BURN NOTICE). From Universal Cable Productions, ROYAL PAINS is written and executive produced by Andrew Lenchewski (‘UC: Undercover’) and Michael Rauch (‘Life is Wild’). Rich Frank (‘More’) also serves as executive producer along with Jeff Kwatinetz (‘Unstoppable’) and Paul Frank (‘Comanche Moon’) from Prospect Park, Connie Burge (‘Ally McBeal’), Carol Flint (‘The West Wing’), Jon Sherman (‘Frasier’) and Jack Bernstein (MONK). ROYAL PAINS was one of summer¹s top five cable series Wednesday nights in 2013 among P25-54 (2.01MM) and total viewers P2+. SUITS: The critically acclaimed and award-nominated legal drama returns for its fourth season after a major shift in the dynamics at the firm. It’s a new world order as Mike Ross (SAG Award nominee Patrick J Adams, ‘Rosemary¹s Baby’) leaves Pearson Specter and heads to Wall Street as an investment banker, quickly finding himself at odds with his mentor Harvey (Gabriel Macht, “Love and Other Drugs”). The series also stars Gina Torres (“Firefly’), Rick Hoffman (“Samantha Who”), Meghan Markle (“CSI: Miami”) and Sarah Rafferty (‘Brothers & Sisters’). From Universal Cable Productions, SUITS was created and is executive produced by Aaron Korsh (“The Deep End”). Doug Liman (COVERT AFFAIRS, ’The Bourne Trilogy’) and David Bartis (COVERT AFFAIRS) and Gene Klein (COVERT AFFAIRS) of Hypnotic, as well as Daniel Arkin (‘90210’) and Chris Downey (‘Leverage’) serve as executive producers. SUITS was one of 2013¹s top ten scripted shows in cable among P18-49 (2.38MM), P25-54 (2.39MM), and P18-34 (1.28MM). Fans can catch up before the new season with the DVD release of SUITS season three on May 27 or anytime on Amazon Prime. GRACELAND: The sophomore season of GRACELAND follows the high-stakes investigative lives of six undercover federal agents who live together in a government-seized Southern California beachfront house. These FBI, DEA and ICE agents, whose lies are their lives, struggle to maintain a sense of normalcy. This is especially challenging when the former FBI rookie, Mike Warren (Aaron Tveit, ‘Les Miserables’) returns to ‘Graceland’ to run point on a dangerous mission against the cartel. Meanwhile, Briggs (Daniel Sunjata, “Rescue Me”), still concerned about the missing recording that implicates him in a murder, attempts to clean up his life and repair his relationships. The series also stars Vanessa Ferlito (‘The Sopranos’), Manny Montana (‘Chicago Code’), Brandon Jay McLaren (‘Falling Skies’) and Serinda Swan (‘Breakout Kings’). From Fox Television Studios, GRACELAND comes from creator and executive producer Jeff Eastin (WHITE COLLAR) and is inspired by true events. The series was one of 2013¹s top new cable dramas of the summer, capturing a broad freshman audience, averaging 4M total viewers. COVERT AFFAIRS: Season five of the hit espionage series picks up with CIA operative Annie (Golden Globe®-nominated Piper Perabo, ‘Looper’) returning to the Agency after having faked her death to go deep undercover to find a traitor to the CIA. The new season will examine the price Annie will have to pay for this risky maneuver and the implications it will have on her relationships ­ both personally and professionally ­ as she attempts to re-emerge into the world she once knew. The series also stars Christopher Gorham (‘Ugly Betty’), Hill Harper (‘CSI: NY’), Kari Matchett (‘Invasion’), Peter Gallagher (‘The O.C.’) and Nic Bishop (‘Body of Proof’). From Universal Cable Productions, COVERT AFFAIRS was created, written and executive produced by Matt Corman (‘Deck the Halls’) and Chris Ord (‘Deck the Halls’), and is executive produced by Doug Liman (SUITS, ’The Bourne Trilogy’) David Bartis (SUITS) and Gene Klein (SUITS) through Hypnotic. 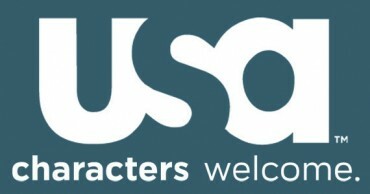 Stephen Kay (‘Sons of Anarchy’), Sean Ryerson (‘Bait’), Stephen Hootstein (‘What About Brian’) and Henry Alonso Myers (‘Ugly Betty’) also serve as executive producers. In 2013, COVERT AFFAIRS averaged 1.44MM P18-49, 1.68MM P25-54, and 4.05MM total viewers P2+. Fans can catch up before the new season with the DVD release of COVERT AFFAIRS season four on May 27 or anytime on Amazon Prime. The #1 network in all of basic cable for an unprecedented eight straight years, USA Network is seen in more than 102 million U.S. homes. USA offers a powerful stable of dramatic, comedic and unscripted originals. The network also features spectacular live television, a dynamic portfolio of acquired series and the best in blockbuster theatrical films and entertainment events. A trailblazer in digital innovation and storytelling, USA is defining, driving and setting the industry standard for Social TV. USA is a program service of NBCUniversal Cable Entertainment, a division of NBCUniversal. The award-winning website is located at http://www.usanetwork.com. What do you think? Are you planning to watch any of these USA shows? More about: Covert Affairs, Covert Affairs: canceled or renewed?, Graceland, Graceland: canceled or renewed?, Royal Pains, Royal Pains: canceled or renewed?, Rush, Rush: canceled or renewed?, Satisfaction, Satisfaction: canceled or renewed?, Suits, Suits: canceled or renewed? Graceland: Cancel or Renew for Season Three? Graceland is a great great show!!! I’ve been an avid fan of Covert Affair and Royal Pains, but the writing seems to be going no where. Have the good writers been taken away and the team that’s left doesn’t know what to do with the story lines? I was vested in these two shows, but thinking of dropping them. I’d stay if the plots improve and become fun and exciting again. royal pains and suits get renewed cause even with their horrible ratings they are the best on USA right now and again, the network will need time to work on something new. I really enjoy Royal Pain, and Suits! Covert Affairs is okay. I really don’t understand why the need to produce Rush? I don’t really care to watch a suspended Dr. with a cocaine habit run around helping anyone. As for satisfaction, it won’t be satisfying me . I think it is rather distasteful and would rather not have that air in my home. I can’t believe the star of Glades left to take the role in the series “Satisfaction”. So, I guess Thursday evenings will not be a USA evening for my family .Wow! I love Royal Pains, Suits, and Covert Affairs. I cannot wait until June to watch my shows. I didn’t care for Graceland, so I won’t be watching that. Satisfaction sounds like it might be good, and I do love Matt Passmore. I am still pissed that A&E cancelled The Glades with that nasty cliffhanger. “Complications” was the new USA show I wanted to see. Why do they always hold back the good stuff until the last minute? I hope we get to see it this summer.